<firstimage=”//static.makeuseof.com/wp-content/uploads/2010/05/Windows1.jpg” /> The old always gives way to the new. This fact is true of life. It’s even truer when it comes to software. Before you can say – “what a great piece of software!” the version changes. It takes just a click to uninstall the older software version and download the spanking newer variant. The memory of the older software gets left behind as a just a registry trace somewhere. It also has a word of its own – Abandonware. Though meant for old and discarded games, it also covers older version software. When it comes to technology, the speed of change is so rapid that we don’t really miss the older versions. Perhaps, with applications like operating systems and Office suites, we do fall into habits that sometimes are difficult to give up. But the changeover to the newer version of the tools is just a matter of time. But just sometimes the older version software comes back into the scheme of things. Just like when one of our readers asked an apt question. His query in MUO Answers touches upon his need to get a trial copy of Access 2003 so that he can study for an exam. I tried and have so far failed. Maybe you can help him out? But while I was searching for that elusive software, I came across a few websites that keep copies of older software versions. Call it nostalgia or call it a “˜timely’ need, it’s important to know a few sources to get the oldies from. Start off from the categories under which all the old software are arranged. If not, there’s the search field on top. If both fail, the site has a forum of its own where you can post a question or help someone out with theirs (the forum seems to be down temporarily). The site has been there since 2001, so expect to get some of the real oldies. The site lists 2,869 versions of 192 programs for both Windows and Mac. Mac users can choose from 601 versions of 35 programs. 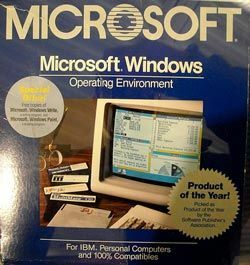 OldApps.com lists both Windows and Mac software. You have older messengers, browsers, file sharing apps and more. For Windows you have 2,843 old versions of 194 programs. Mac users can choose from 550 old versions of 40 programs. You can quickly glance through the Most Popular and Newly Added older version software sections on the side column. The site also has a community discussion board. You can also send in any old software that you might have lying around. This is the place I stumbled on when I was searching for an older (less bloated) version of iTunes. The site is neat and looks like one of the newest, going by its first blog entry dated March 2009. The software page lists out all the chronological version number changes and you can download them with a single click. This is a well organized site for old Windows software versions. Most of the software available on this site has been verified and installed by the site author. The site lists 2,453 old software. On the homepage you can make out with a glance the alphabetical list of the software, the number of versions available, version that was last added, and when it has been updated. The site presents a very simple interface with all software listed out. Apart from the usual categories, there are a few older versions of enterprise level software like Cisco TFTP Server, 3Com Daemon, and SolarWinds TFTP etc. This website is almost a namesake of the previous one and does not differ by much in the way it has organized the old software collection. You can drill down through the categories on the homepage or use the Quick Jump dropdown. For some of the software, you get a simple download link, while others come with a brief description and the versions available listed out for download. This site can be a very good resource because it lists out the last freeware version of many popular programs that have become paid now. It’s perfect for downloading software that is less system critical. Take for example a calculator app like Showcalc. The latest version is v5.1 and it retails for $17.50. If I can make do with the functionality of its last available freeware version (v3.01), it’s well worth a download for me from this website. This site has a selective list of older version software. The software listed are all free but not current. You can browse through the categories like Chat, Multimedia, Internet, File Sharing, Graphic Apps, and Utilities. What this site lacks is a search box, so you just have to go through the categories. The specific software page lists the changelogs and descriptions of the available versions. 186 programs available in 1,335 versions is a good enough resource. The website is available in three more languages. You have categories for old drivers and rather uniquely, a section on older mobile software. Mac users can try out this page which lists out a lot of really old Mac software and points to lots of other pages where you can find more old Mac software to run on an older Macintosh. Random browsing revealed that some pages have become non-existent, while some have moved. But it is still browse-worthy because of the number of FTP links that you follow through for some needed download. The page doesn’t seem to be updated. Using old software versions is not only about nostalgia or a one-off use. One direct practical use is that some low end machines are not capable of meeting the hardware requirements of the updated software. Instead of throwing away an entire computer, they can be made useful with the older, less system intensive versions. Think of young students who cannot afford the latest software or the latest machines. Installing old software is certainly not recommended for anti-virus and firewall functions, but for tasks which are less system critical; their use in special situations can be considered. What are the reasons that might make you go looking for software you left behind long ago? it seems that oldapps.com don't work anymore you choose a file and always says can't connect. Anyone else having this issue..
Hi Enda Joyce, I'm doing the same search myself! Did you have any luck finding a version of Sibelius for your 10.3.9 G4 Mac? If so, I'd love to know where I can get it from. Expensive commercial software is relatively difficult to find. The mentioned public sites will only carry trialware. Big packages like Photoshop, Microsoft Office, or Sound Forge have much more demand for resources in general, and therefore need to be more efficient. You could run a recent bloated media player or download manager, and notice a problem. WinWorldPC is a good resource. But at the time of writing it only supplies software released before 1999-2000. There is still a void of availability of titles from the following 10 or so years, which have not yet achieved status of nostalgic value. In general, older version of professional software will do more than a stripped down edition built for modern platforms. Developers have no motivation to write efficient code, or support older systems. It might even be that big developers are ashamed to claim positive compatibility with "insecure" win 2000 or XP. Thank you. Some of the old stuff is highly useable. I convert old computers to modern operating systems and they're slow, but safe to go on the internet or various uses like teaching the grandkids how to type or network storage. Over 10 year old machines will get Lubuntu or Puppy. A little newer, Bodhi. If they have a GB of RAM, probably run any Linux. There's no reason to use XP any more. Your points about Filehippo may or may not be valid, but they are completely irrelevant to the criteria for entry into your article. You dropped the ball on this one, dude, whether by accident or on purpose. the point which wasn't made ... using older software on older computers. old versions have lower system requirements, and can run on a pc which cannot run a new version. keep your old reliable unit out of the trash and install something of its age. there are plenty of MS-dos game sites...something missing from most of the sites mentioned. Oh, I have made this point towards the end of the post. So many old computers which we usually through away after 2 yrs of use can be made useful again with OS like Linux and older software. There are many poor corners of the world which could benefit from this. A few programs like these do happen and that's very heartening. In fact, Apple has a recycling program like that, I think. VetusWare.com is quite good for old versions of Windows, for example. I did come across VetusWare, but it wouldn't open the three or four times I tried it. So, I figured it to be down. But now checking back, it looks like a good one. Filehippo is one, but it collates the latest too. For the oldies you have to dig into the site using the search box, and that's a chore sometimes.